Prenatal exposure to nicotine could manifest as attention deficit hyperactivity disorder in children born a generation later, according to a new study by Florida State University College of Medicine researchers. 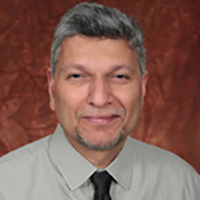 Professors Pradeep G. Bhide and Jinmin Zhu have found evidence that ADHD associated with nicotine can be passed across generations. In other words, your child’s ADHD might be an environmentally induced health condition inherited from your grandmother, who may have smoked cigarettes during pregnancy a long time ago. And the fact that you never smoked may be irrelevant for your child’s ADHD. The researchers’ findings are published in the current issue of The Journal of Neuroscience. “What our research and other people’s research is showing is that some of the changes in your genome — whether induced by drugs or by experience — may be permanent and you will transmit that to your offspring,” said Bhide, chair of developmental neuroscience and director of the Center for Brain Repair at the College of Medicine. Bhide and Zhu, assistant professor of biomedical sciences, used a mouse model to test the hypothesis that hyperactivity induced by prenatal nicotine exposure is transmitted from one generation to the next. Their data demonstrated that there is a transgenerational transmission via the maternal, but not the paternal, line of descent. Building on recent discoveries about how things like stress, fear or hormonal imbalance in one individual can be passed along to the next generation, Bhide and Zhu were curious about a proven link between prenatal nicotine exposure and hyperactivity in mice. Their work at the Center for Brain Repair has included extensive research around ADHD, a neurobehavioral disorder affecting about 10 percent of children and 5 percent of adults in the United States. Researchers have struggled to produce a definitive scientific explanation for a spike in ADHD diagnoses in the last few decades. One possible contributing factor, though unproven, is that the current spike in ADHD cases correlates in some manner to an increase in the number of women who smoked during pregnancy as cigarettes became fashionable in the United States around the time of World War II and in the decades that followed. “Other research has shown a very high correlation between heavy smoking during pregnancy and the incidence of kids with ADHD,” Bhide said. Bhide cautions that the work, though conclusive, is based on a study in mice, which have served as a proxy for human phenotypes. “It’s not that every child born to a mother who smokes has ADHD, and it also isn’t true that every person with ADHD will transmit the genetic material responsible,” he said. In addition to Zhu and Bhide, the paper’s co-authors are Kevin P. Lee, a research assistant in the FSU College of Medicine, and Thomas J. Spencer and Joseph Biederman, both of the pediatric psychopharmacology unit of Massachusetts General Hospital and Harvard Medical School.